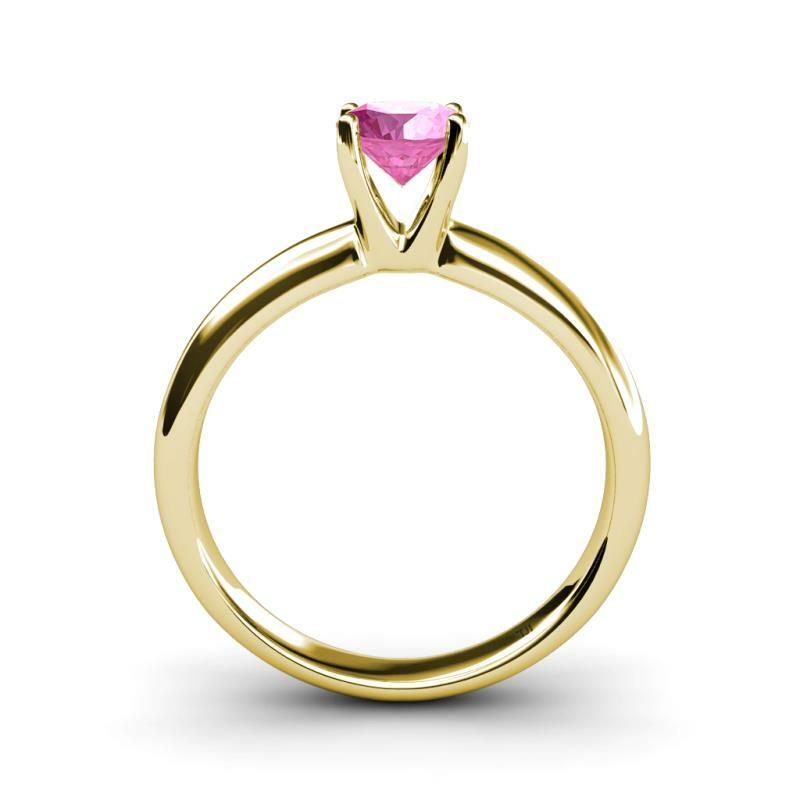 Pink Sapphire Solitaire Engagement Ring Beauty and simplicity stands out with a Pink Sapphire in an elevated four prong setting ensuring that this 0.95 ct Solitaire Ring sparkles from every possible angle. 5 stars, based on 1 reviews Condition: $1314 New In stock! Order now! Order in 5:08 hrs to get it by 25th Apr 2019 with Overnight Delivery Learn More. Normal processing time for this item is 2 to 3 business days before it ships and it will ship via your chosen ship method after the processing time is complete. 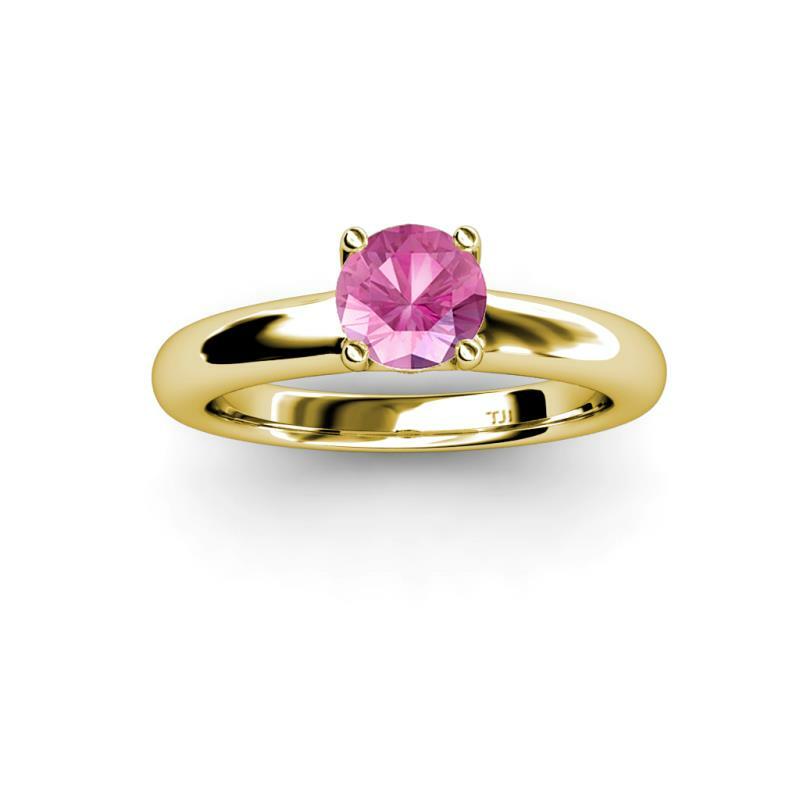 Beauty and simplicity stands out with a Pink Sapphire in an elevated four prong setting ensuring that this 0.95 ct Solitaire Ring sparkles from every possible angle. 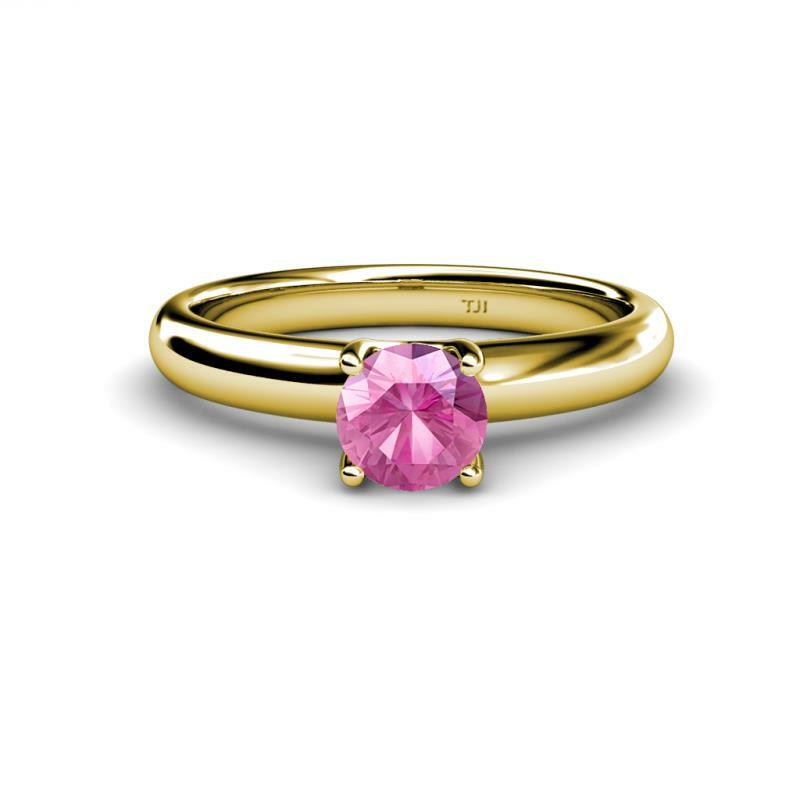 0.95 ct Pink Sapphire Solitaire Ring. 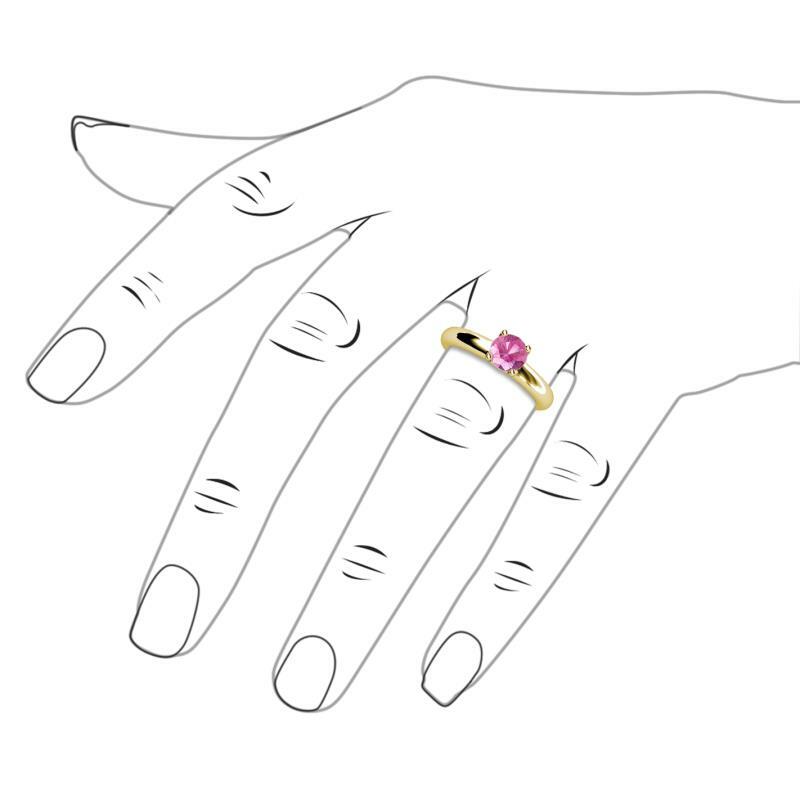 1 Round Pink Sapphire set using Prong Setting. 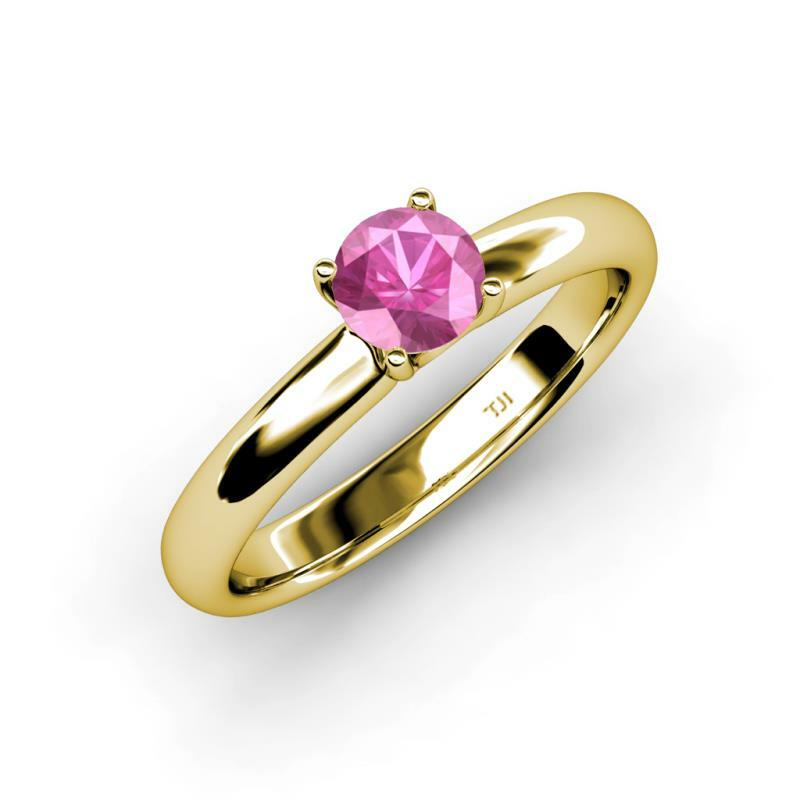 Buying an engagement with TriJewels was a low stress and enjoyable experience. Vijay, the owner, took the time to educate me on ring materials and style as well as diamond cuts and grading. When I described what I had in mind, Vijay presented me with an concept that met all my expectations. In the matter of a few days Vijay had the ring ready. It is obvious that Vijay genuinely cares about his customers. I look forward to working with Vijay in the future. Excellent work and attention to detail. I called and he spoke directly with me and I let him know what I wanted and he delivered with no problems. He kept us up to date on the rings progress and when ever we called about the status he was always kind and polite and had the info. Now we're buying 2 more items and I will be recommending him to everyone that wants or thinks about jewelry. This ring is absolutely gorgeous! I received it in no time at all!! Thank you so much! I came across trijewels.com while searching the internet for a gift idea. At first I was skeptical as I had never bought fine jewelry online before. I read the reviews and decided to call and ask a question or two. I left a message and Vijay called me back a few moments later with all the answers I needed. I ordered the ring and he shipped it promptly, it arrived a few days later, and it is beautiful! I would definitely recommend Trijewels and Vijay. We have ordered from Trijewels on 3 occasions and have been completely satisfied on all counts. The quality is exceptional and the service was fantastic. We would definitetly reccommend this company to all my family and friends, and look forward to using them again in the future. Trijewels and Vijay are awesome. Exceptional customer service for an exceptional product. I purchased a black diamond ring for my girlfriend and when it got here it blew me away. Its beautiful. I had several conversations with Vijay and he has been a true gentleman, always willing to answer questions. I was nervous about purchasing online as well but with the reviews he has received in the past and my own personal experience I can say I wont hesitate in using his company again or recommending him to you.